Join us in the studio audience on these brand new dates for ITV1's hit show! 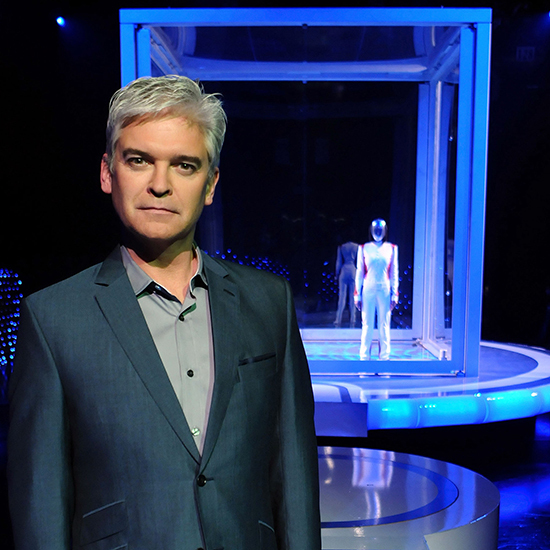 Hosted by PHILLIP SCHOFIELD. What makes The Cube so different from any of the other gameshows...? There are NO general knowledge questions to answer and the contestants are not competing against anyone else... The only thing they’re competing against is... THE CUBE! The Cube will set a series of tasks – very simple games to play, for which the participants can win an increasing prize... a life-changing amount of money! They will perform these in a glass cube in the centre of a studio audience and will have to rely on their own determination and nerve to win as much cash as possible. Minimum age: 12 years old. Under-16's must be accompanied by an adult. This show has now finished recording but please register your interest for further shows by logging into your account and using the form below. We'll then be in touch when we have further news. If you aren't registered with us, please register first and then log into your account to add yourself to the waiting list.